With the slow cooker basically clean after yesterdays semi-disaster, I’m ready to try a recipe from America’s Test Kitchen Slow Cooker Revolution book. 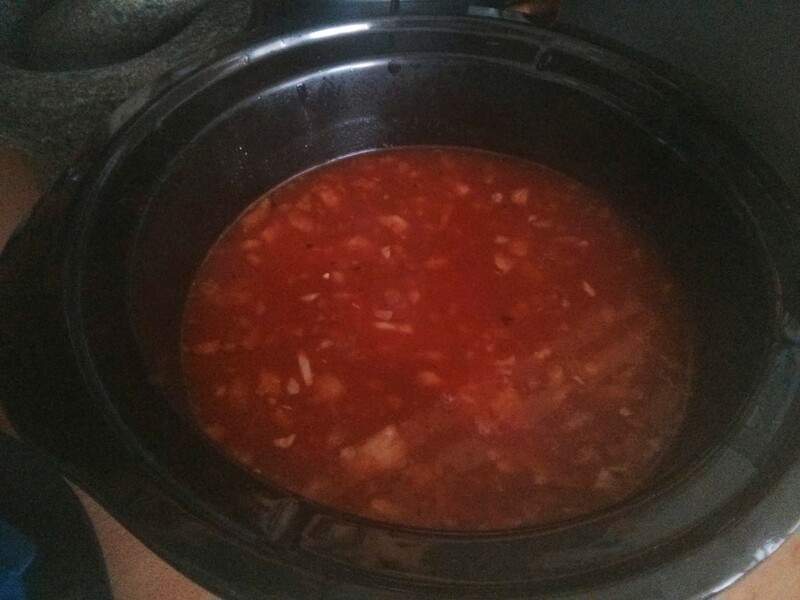 I knew I wouldn’t have a full 9 hours to spare, so I’ve gone for a chicken recipe that only takes around 5 hours to cook: Tex-Mex Chicken Stew. These all get dumped in the food processor. 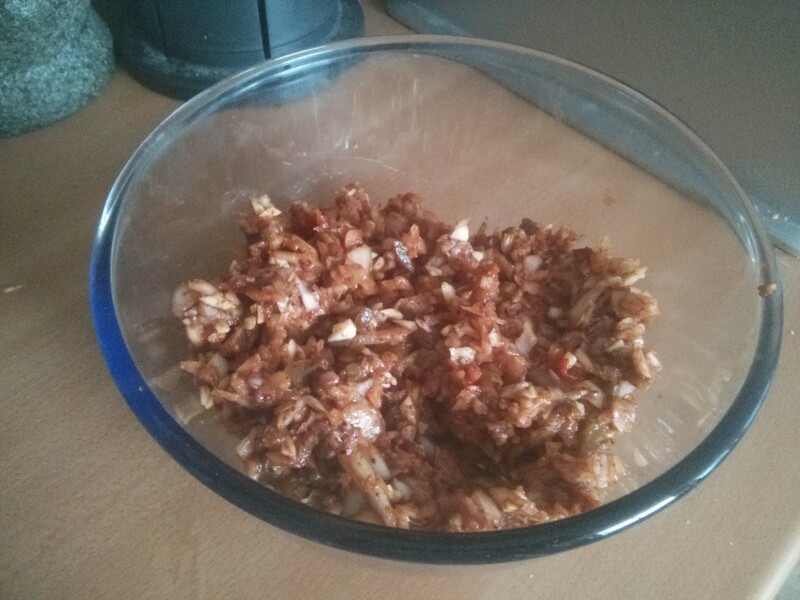 After a quick whizzing it gets microwaved for 5 minutes to soften the onions. 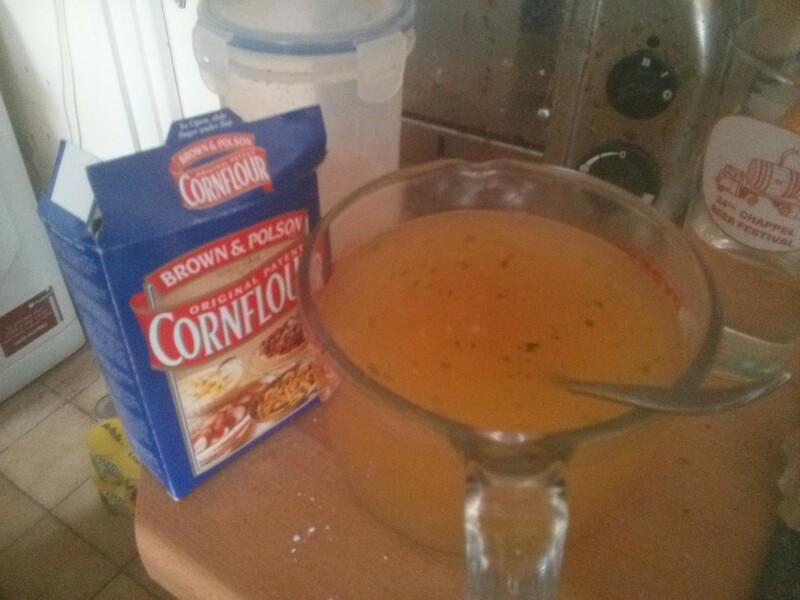 Meanwhile I made up a litre of chicken stock, and added 1 tablespoon of sugar and one tablespoon of cornflour. 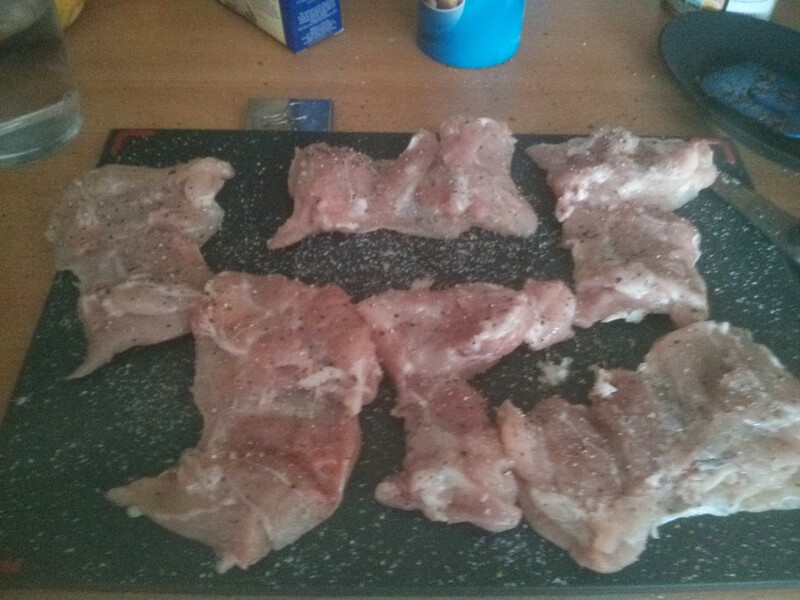 The chicken thighs get excess skin and fat snipped off, then seasoned. 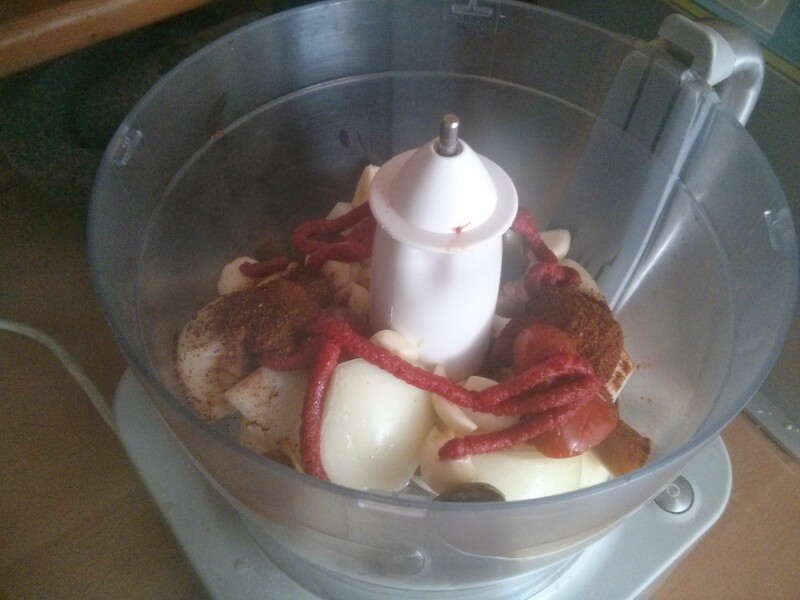 Then everything goes in the slow cooker along with a 400g tin of chopped tomatoes. Then it’s on low for 5 hours. 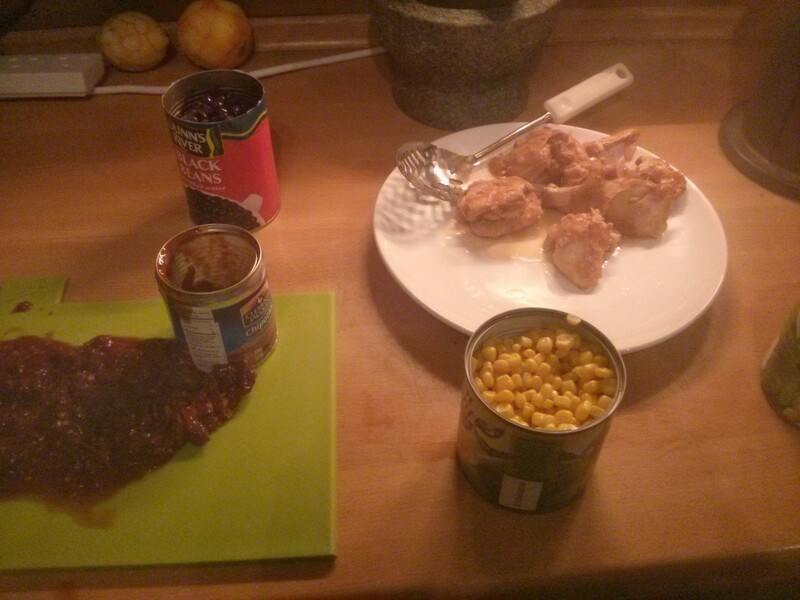 After 5 hours the chicken comes out, and sweetcorn, black beans and chitpotle chillies in adobe sauce go in. The chicken then gets shredded with two forks, and added back in, and it cooks on high for another 15 minutes. Meanwhile homemade corn tortillas go in the oven to crisp up into tacos. We then made some guacamole (avocados, onions, Tabasco, coriander (cilantro)). plus green rice (rice with coriander in the water while it cooks). 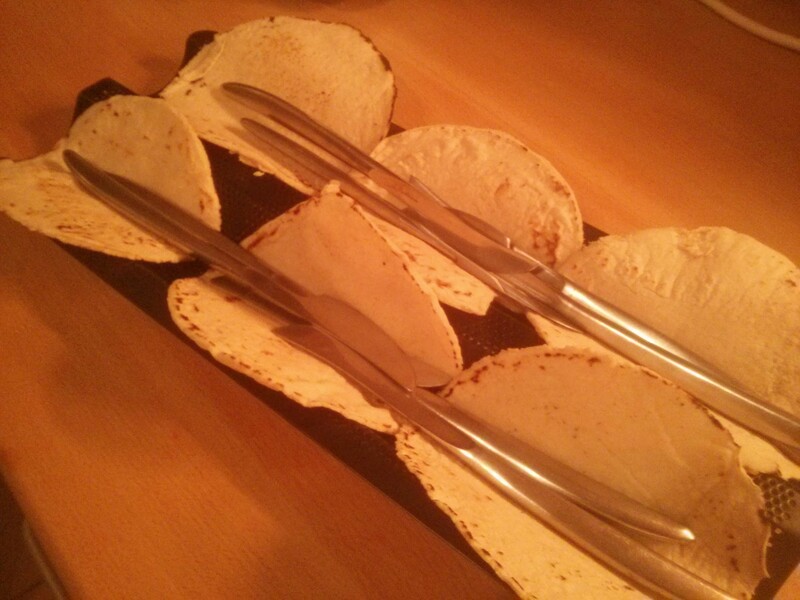 And… dinner! It was a bit soupy… so we ended up having two ladles, plus a slotted spoon, of the stew :) But it tasted great: really spicy — I got a good sweat on! Pulse in food processor. 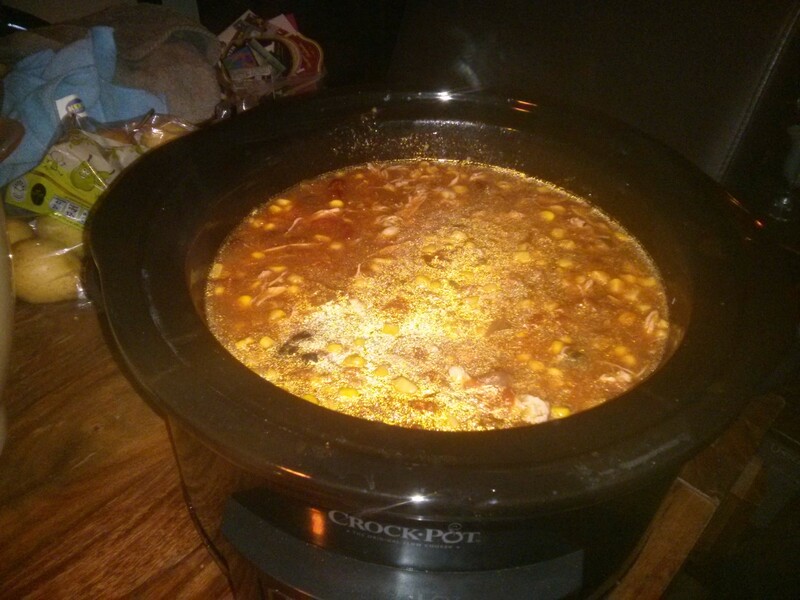 Microwave for 5 mins, add to slow cooker. Add 1 litre (4 cups) chicken stock, 1tbsp cornflour, 1tbsp sugar, 1 can chopped tomatoes. Slow cook on low for 5 hours. Remove chicken & shred with two forks. 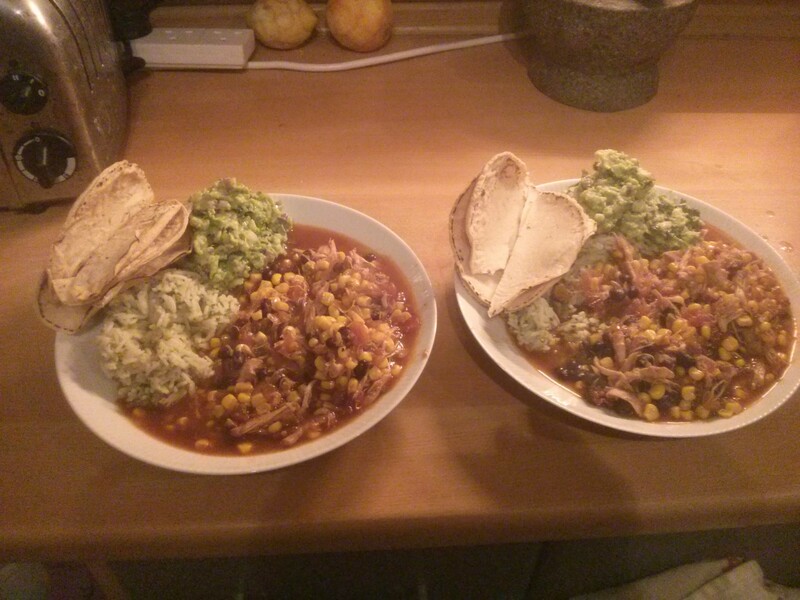 Ad back with 2 cans of sweetcorn, 1 can black beans, 1 can chipotles in adobe sauce. cook on hight for 15 mins. Server with homemade tacos & green rice. 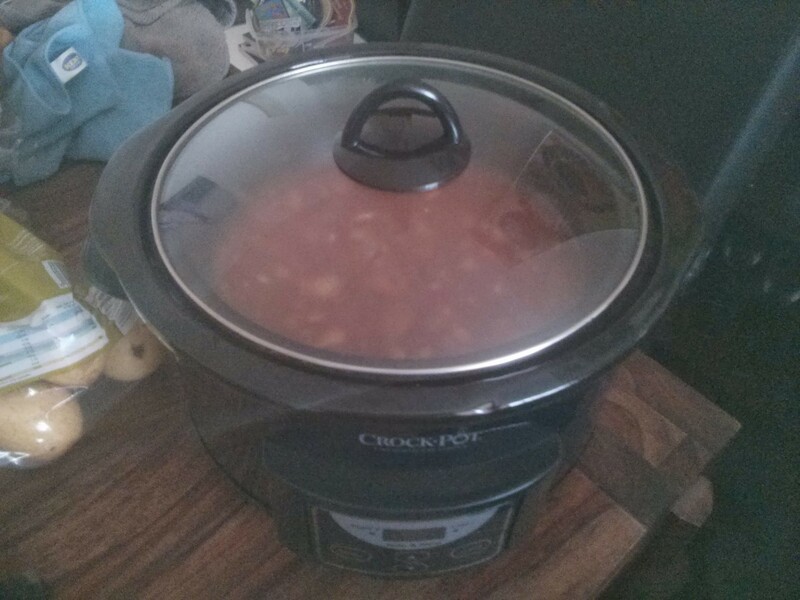 ← Mincemeat: in the slow cooker!